Práca na úlohách, kde môžu pomôcť členovia, priaznivci a ďalší dobovoľníci. 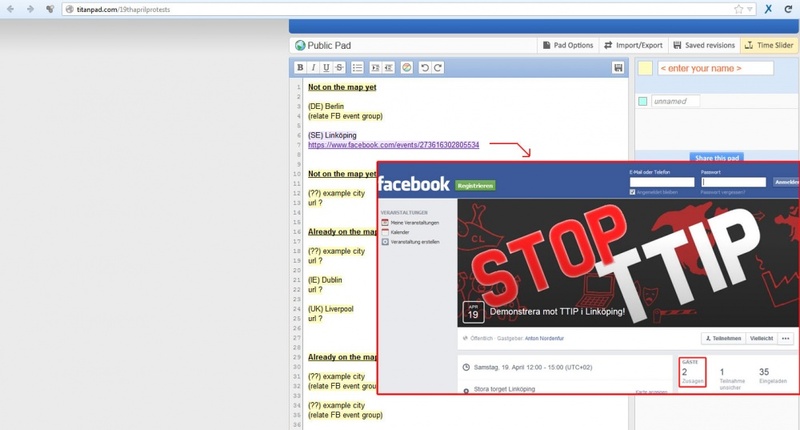 Well, you all anticipated it: "Something is gonna happen regarding TTIP protests before the EU elections" - and now it's fix. 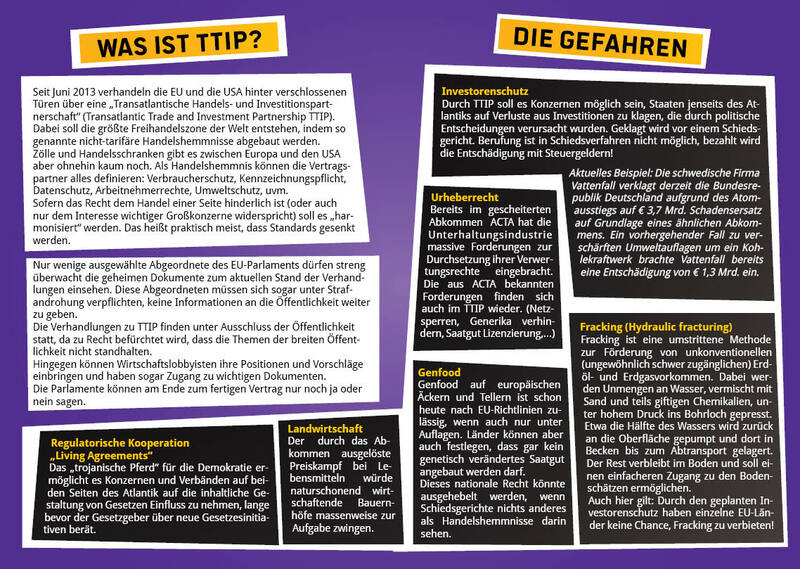 and all the other nasty stuff trading our social acchievements away like CETA, TPP, FISA, etc. massively more people to get to hear about the date and give a promise to participate. 1st thing to do for this - and that as fast as possible: Entry the demo location in this pad, and additionally, set up a neutral related facebook event page for your demo, where people can promise that they will participate, and link it in the pad - this point is very important and just takes less than 10 minutes, so go for it ! 2. promote your demo so that a lot of people will participate ! 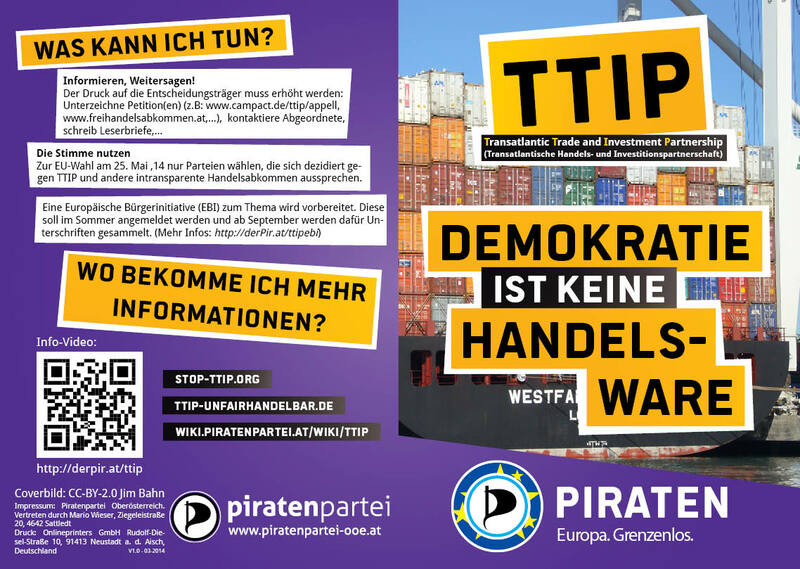 organizations, which have no problem to join a demo where also the pirate party is.